With Destiny 2 releasing just a few days ago fans already have a lot to say about the new system involving microtransactions along with formerly free cosmetic items called shaders. These items were used to change the color of a character’s weapons and armor that players could use as many times as they want. A few threads on Reddit within the game’s community received a lot of attention for their concern on how Bungie was limiting the use of the shaders as well. This dispute has fans of the game accusing the developer Bungie of overstepping their boundaries and giving in to corporate greed. This dilemma has surfaced a little more than two days after the games launch and it has fans refusing to pay or even purchase the game unless this feature is changed. 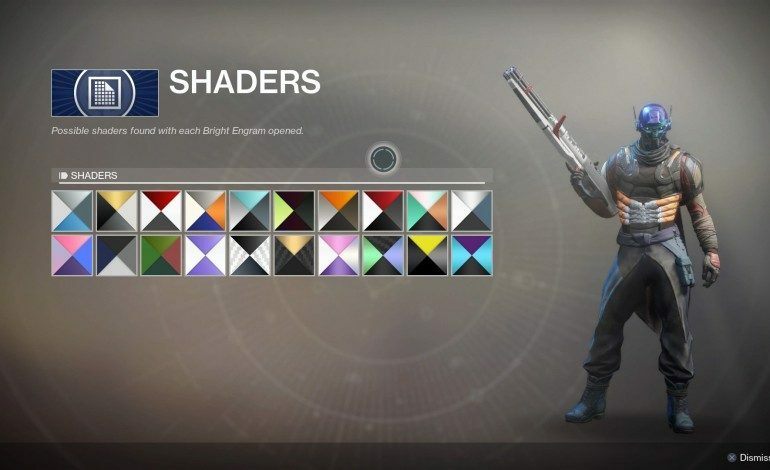 As of now the shaders can be purchased by spending physical money on in game currency called “silver” which has caused quite the controversy since these items used to be free. However, Destiny fans are not strangers to the controversial struggle between players and developers. The first Destiny was subject to many bugs and issues due to it being released in an unfinished state. The sequel is a much better experience due to the fact that it gives the player more purpose in the activities that you perform in the environment. In some ways the new shader system is a improvement from the original giving players many more options than before. But, many fans see it as a way for the developer to push players to spend extra money.